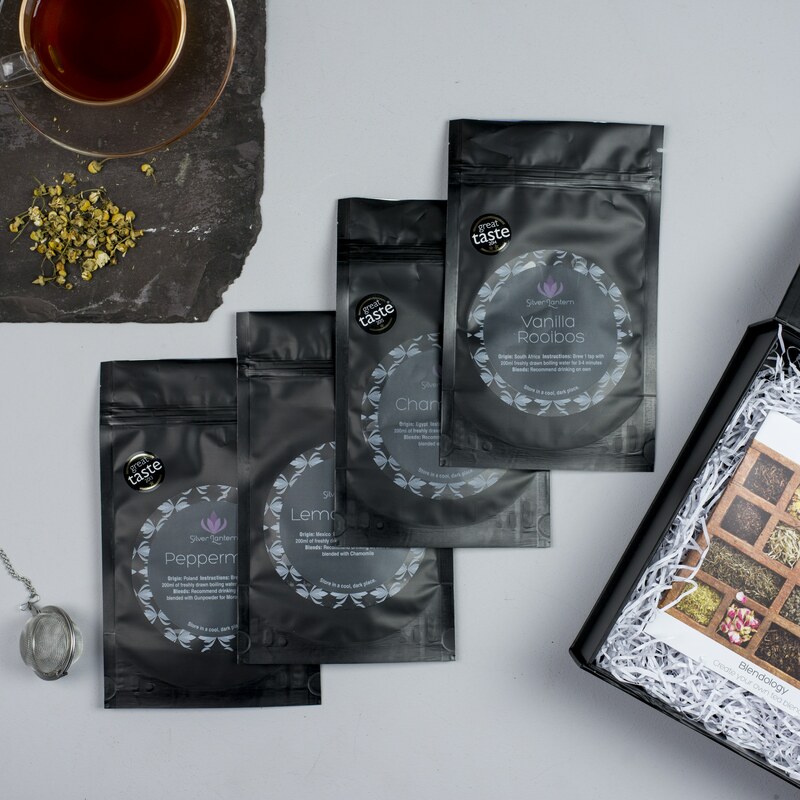 A selection of 4 of the finest loose herbal teas, including Chamomile, Lemongrass, Peppermint and Vanilla Rooibos. 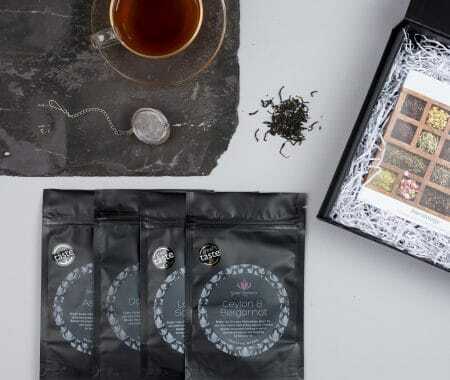 The teas are beautifully presented in a matt black gift box embossed with the Silver Lantern logo in metallic silver. 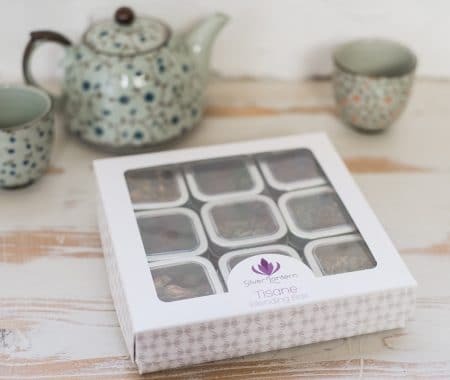 Once you lift the lid, nestled underneath tissue paper, you’ll find four pouches of the finest herbal tea, along with a tea ball infuser and a tea blending booklet with recipes for preparing your own tea blends. A truly decadent gift to receive. 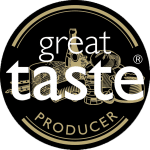 This herbal tea gift box includes four Great Taste Award winning teas, so you can rest assured that you are receiving some of the finest herbal teas. 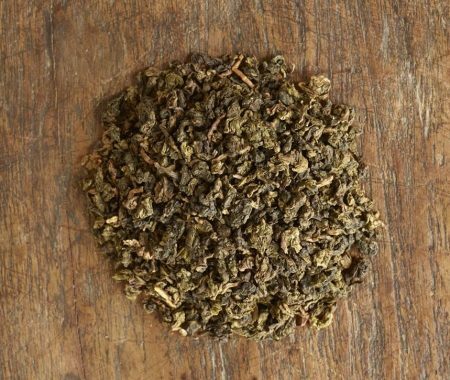 Each pouch of tea contains 10- 25g of loose leaf tea which is enough to make 10-20 cups of tea. 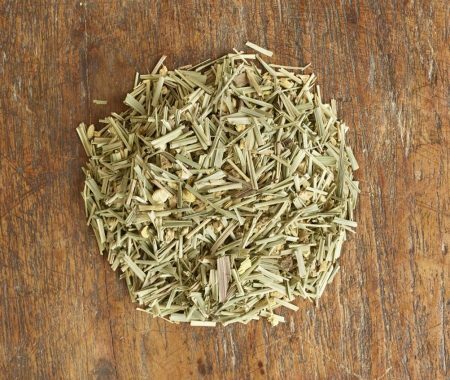 These teas can be enjoyed on their own or combined to create your own special herbal tea blends. 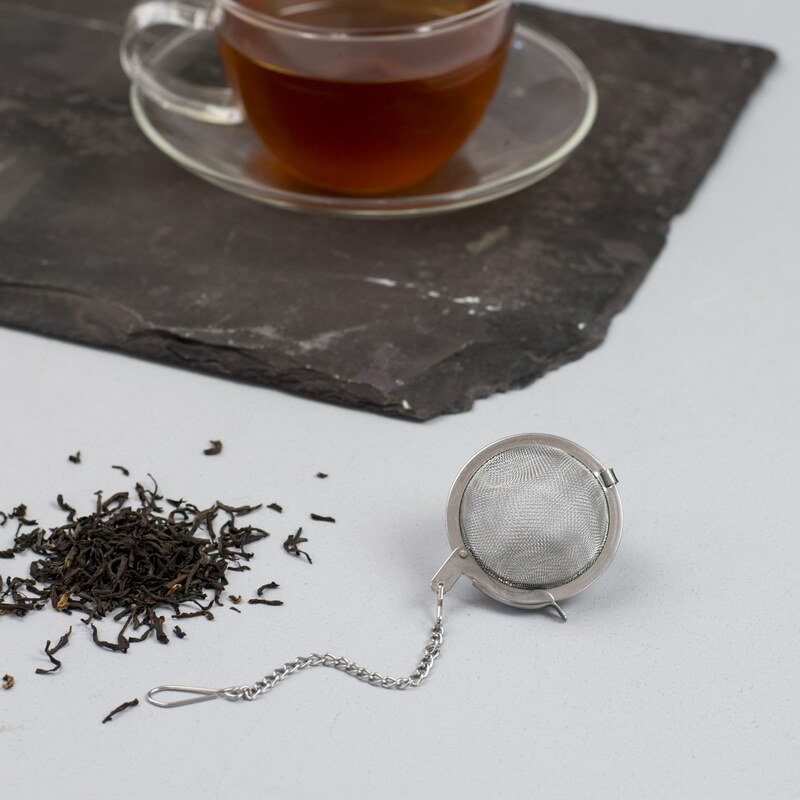 Includes 4 x 20-25g of loose leaf tea, 4.5cm stainless steel tea ball infuser and blend recipe booklet.